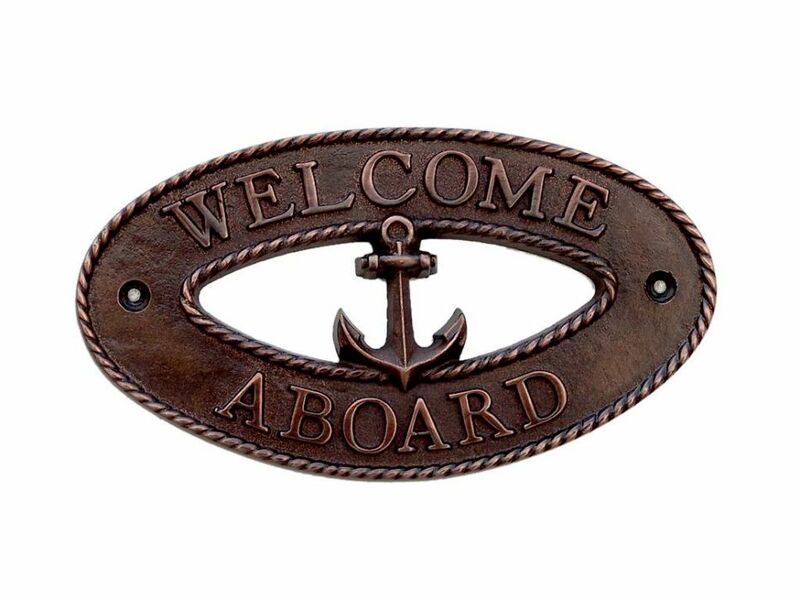 Ideal for posting in any nautical themed room, this brilliant "Antique Copper Welcome Aboard Oval Sign with Anchor 8" clearly gets its point across. 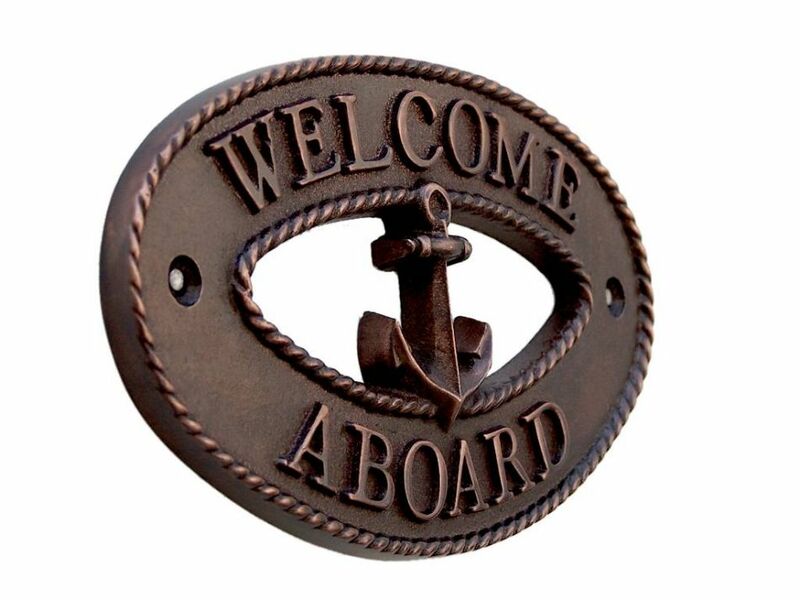 With a textured, antique copper framing and body, this distinctive nautical wall art plaque is easily mountable. Display this nautical decor sign on your boat or in your nautical home and show your affinity for the sea-faring lifestyle to those who visit.